First Snow of the Season in Georgia! Early on November 1, 2014, northeast Georgia received their first snow of the season! A strong upper level low dove into eastern Georgia and the Carolinas, bringing wrap-around moisture from the low pressure system to parts of Georgia. 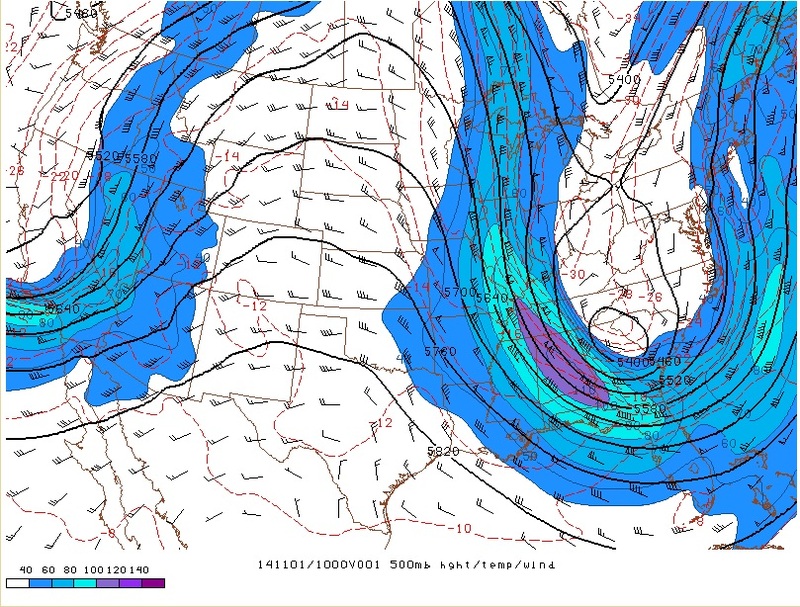 In addition, the area was in northwest flow with cold air being ushered into the state. This combination of precipitation and freezing temperatures brought the first snow of the season to Georgia. Even though the accumulation was limited to the northeastern part of the state, snow flurries were observed as far south as the northern portion of the Atlanta metro area! Overall snowfall accumulations ranged from 0.5-2 inches. This snow event was unusually early for the season. 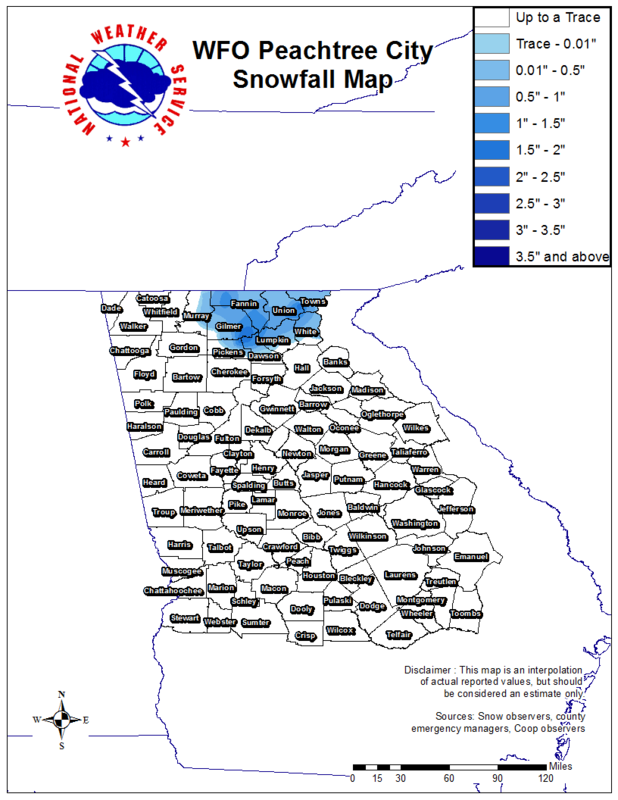 Although snowfall records across northeast Georgia are somewhat limited, based on records that are available, the previous earliest snowfall at Blairsville was November 10 (1968), at Helen it was November 12 (1968) and at Cleveland it was also November 12 (1968). Please note there is the potential for missing data at these sites.